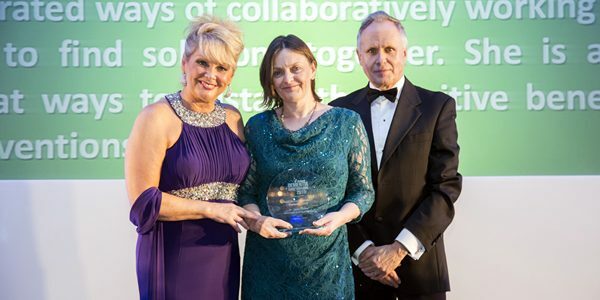 Consultant clinical psychologist responsible for psychological services within Oxford Health NHS Foundation Trust, has dedicated her career to improving the lives of those who live with dementia, and those who help care for them won the award in this year’s Dementia Care Awards 2015. Dr Jane Fossey, who is also Honorary Senior Clinical Research Fellow at the University of Oxford, Department of Psychiatry, won this prestigious award on 13th November as part of Dementia Care Awards 2015. The findings of her current research project WHELD – Well-being and Health for People with Dementia – will be published soon. It aims to combine the most effective elements of existing approaches to develop a comprehensive, practical staff training intervention. Dr Fossey’s primary research interest is in the management of behavioural and psychiatric symptoms in dementia, by exploring alternative interventions for psychosocial care, with the aim of reducing pharmacological management. She has published key studies pertaining to the assessment and treatment of these symptoms in nursing-home residents. Dr Fossey currently also works with CLARHC Oxford leading two dementia projects – i) Dignity Plus which is evaluating the effects of changes in the physical environment in care homes and community hospital wards on the experience of residents / staff and visitors and ii) Enhanced Care Home Outreach – evaluating a redesigned care home support service which integrates physical and health care provided to care homes. She is also funded by the Alzheimer’s Society, and their current project “Caring For me and You” is evaluating the effectiveness of on-line Cognitive Behaviour Therapy with and without telephone support, for family carers of people with dementia . If anyone is interested in taking part in the study details can be found here or contact the study team. Find out more about WHELD.